Its quite obvious to the readers, that I love music. Who does not love to hear music? Apple has won the mind of the Music lovers with iPod and other mobile devices based on iOS. iTunes is the heart of all. Although WMP for Mac does not exist, but fortunately Windows version of iTunes exists. You probably know that there are two version of iTunes for Windows – 32 bit and 64 bit. 64 bit version is a bit ‘hidden’ ; you can read this post on how to install 64 bit version of iTunes on 64 bit Windows 7. Why to test or use iTunes ? First place for Production Level Music Software definitely goes to Sony with their Sony Sound Forge. It is not player, but for Editing. Second place can be of VLC as Sony once certified them. Its up to you where you will place iTunes. Definitely, there are reasons why people love to hear Music on iOS devices – the quality of sound matters. Another very nice quality Music is produced by Nokia Music Edition Smart Phones. You can test Nokia’s desktop music player as well, it is less known but it really performs well. Coming on the point Why the heck one will need to test iTunes ? Simply, because you might not have a MacBook Pro or any iOS devices, but your Windows 7 PC. If you are looking for the best setting for Windows Media Player and VLC, you can read this post. As we have said ago, we use SRS Audio Sandbox to enhance the quality of music on Windows 7. So, we tested the new iTunes along with SRS Audio Sandbox as well. The depth of Bass, dampness deteriorates on iTunes for Windows 7 than MacBook Pro, still it outperforms the others. Keep in mind, I am using one of the coveted headphone from BOSE for iTunes on Windows 7, I can not give guarantee how a $5 earphone will sound on iTunes. New iTunes is a bit more clear on the Bass for Rock Genre (Compressed MP3), a bit more Mac-ish. The volume knob has been Metallic now. Apple needs a bit work on the look of minimize, maximize buttons for iTunes for Windows or may be I am finding the Traffic light! Also, iTunes Match Beta has been released, you can read the review here. Right now, I am hearing Summer of 69 (Bryan Adams) on iTunes. I have set SRS Sandbox to WOW HD with default settings, the equalizer settings on my iTunes is set to Rock, I want to hear the strokes more vividly on iTunes. One hard rock of Rupam Islam of Fossils – Bicycle Chor at the same settings on iTunes. (I know the words Rupam Islam Fossils iTunes will pull the traffic! ), listen at 4:29 – psychedelic. 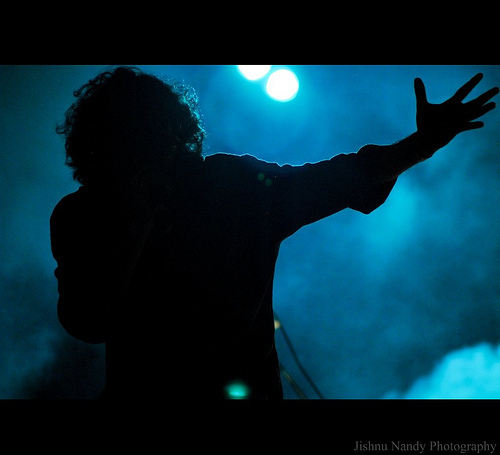 The On Performance image is of Rupam Islam and taken by Jishnu Nandy, none represents iTunes, Apple or TheCustomizeWindows. The image for this article on iTunes has been used to represent Rupam Islam himself as an icon of Rock. This Article Has Been Shared 7716 Times! iTunes 10 setup usage guide for Windows 7 PC shows how to install and use most of the features out of iTunes.iTunes GUI has much simillarity with Mac OS GUI. Cite this article as: Abhishek Ghosh, "iTunes 10 with SRS Audio Sandbox on Windows 7 – Feel the Sound," in The Customize Windows, September 19, 2011, April 25, 2019, https://thecustomizewindows.com/2011/09/itunes-10-with-srs-audio-sandbox-on-windows-7-feel-the-sound/.